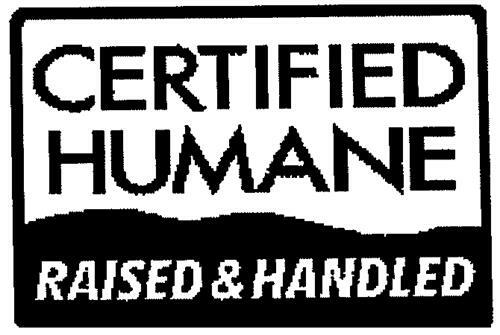 On Friday, July 25, 2003, a canadian trademark registration was filed for the above pictured logo by Humane Farm Animal Care 12102 Green Ledge Court #301, Fairfax, Virginia 22033, UNITED STATES . The Canadian IP office has given the trademark application number of 1185577. The current status of this trademark filing is Registration published. The correspondent listed for is OSLER, HOSKIN & HARCOURT LLP of SUITE 1900, 340 ALBERT STREET, OTTAWA, ONTARIO, CANADA K1R7Y6 The trademark is filed in the description of Meats and poultry. .
Mark Disclaimer: The right to the exclusive use of the word CERTIFIED is disclaimed apart from the trade-mark. (1) - Meats and poultry.